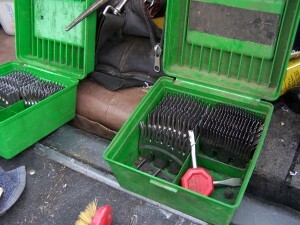 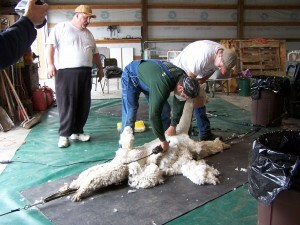 Like sheep, shearing is performed yearly yielding 3-10 pounds of exquisite fleece. 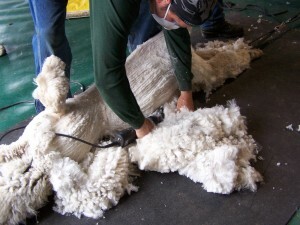 Because the fiber is pretty clean and virtually grease free, it can be handspun directly off of the animal. 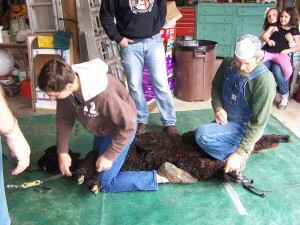 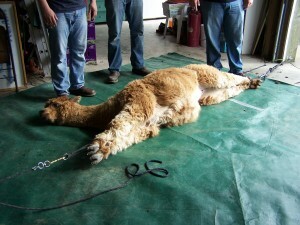 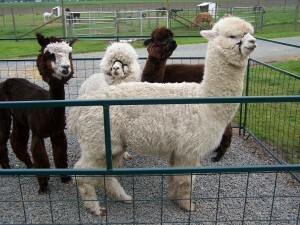 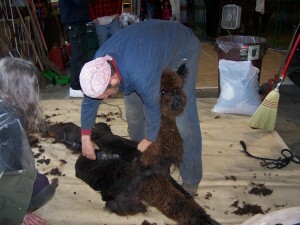 Electric clippers are sharp and the alpacas can either stand or lay down while being shorn. 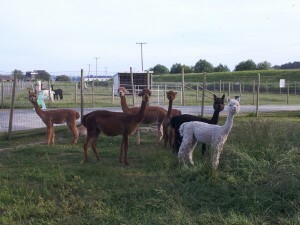 If lying down, the alpacas are rotated from side to side on the ground or on a table. 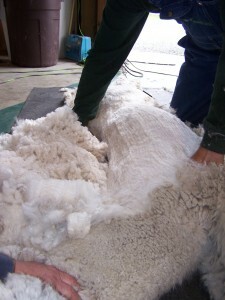 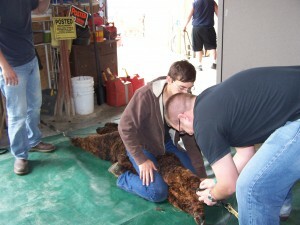 The fiber is then ready for processing.